Because who you know and where you live should not limit your access to advanced technologies and individualized care. Patients are increasingly knowledgeable and empowered and they will seek and find doctors that provide the most advanced and individualized care. Healthcare providers and delivery systems need help in adapting to the analog-to-digital shift in medicine and its “big data” challenges. New “disruptive” technologies require evaluation by payers, benefits managers, regulators and pharmaceutical R&D organizations through comparative effectiveness research to establish their clinical validity and economic value. Doctors need new tools to learn about new technologies and manage change. Our team represents the best expertise and technology available anywhere and we are built to make it available everywhere. Our integrated team and extended network of experts spans all aspects of medical genome science and technology and its application to precision diagnosis and individualized therapy. We empower healthcare delivery organizations to make sound, data-driven decisions about when and how to embrace genomic technologies and proactively leverage them to drive efficiency, improved outcomes and increase market share in precision medicine. We enable patients, doctors, researchers, technologists, payers, drug developers and regulators to engage in collaborative comparative effectiveness research research to make compelling cases for change in real world care circumstances. Our Crosswalk™ suite of services engages, educates, enables and empowers those who wish to access or deliver precision medicine today. Crosswalk™ PMRA: Precision Medicine Readiness Assessments™ We provide expert genomic medicine consulting and cost-effective roadmaps for hospital systems and other healthcare delivery organizations, comparing the current state of a system against best in class, across pathology, oncology, technology and understanding. Crosswalk™ PathCloud™ Our cloud-based, HIPAA compliant system solves genomics big data management and analysis challenges in a cost-effective way. It was built from scratch for mobile computing platforms and provides a “dashboard” view for pathologists and tumor boards to store, process, analyze and share digital images and multianalyte molecular data which are essential ingredients of “third wave” medical genomics. Crosswalk™ CER: Comparative Effectiveness Research We provide experimental design, technology assessment and program management for tumor genome analysis vs. standard-of-care molecular diagnostics for precision cancer medicine. Our goal is to provide health systems and insurers with data to inform decisions about the value, adoption and timing of precision medicine. Crosswalk™ CME: Continuing Education We provide online and in-person education and training in genome science, technology and precision medicine specifically targeted to the needs of community oncologists, pathologists and tumor boards for the understanding, adoption and efficient utilization and service delivery to their patients. Crosswalk™ Compassionate Use We design, organize and provide access to advanced diagnostic technologies for both self-pay and compassionate use cases of patients with cancer. Data is delivered for research or investigational use only but may suggest unanticipated off-label treatment options or eligibility for clinical research trials. Mark Boguski, M.D., Ph.D. is on the faculty of Harvard Medical School and Beth Israel Deaconess Medical Center in Boston where he founded the Genomic Medicine Initiative in 2009. Dr. Boguski is a pioneer in the fields of bioinformatics and genomics and has previously held faculty positions at the Johns Hopkins University School of Medicine, the U.S. National Institutes of Health, the U.S. National Library of Medicine and as an executive in the biotechnology and pharmaceutical industries. He is a former vice president of Novartis and a Visionary and Influencer according to the Personalized Medicine Coalition. Boguski is a member of the Institute of Medicine of the U.S. National Academy of Sciences, the American College of Medical Informatics, the Society for Participatory Medicine and is also a Fellow of the College of American Pathologists. He is a graduate of the Medical Scientist Training Program at Washington University in St. Louis. Richard Kellner is an entrepreneurial leader with demonstrated expertise starting and globally scaling complex, data intensive businesses. He has been a strategic advisor to a number of genome technology and service companies and a consultant to several Harvard-affiliated hospitals for the planning and implementation of advanced clinical diagnostic services. Mr. Kellner is a former global executive at The Nielsen Company, where he built their global Financial Services business and is an expert at simplifying complex challenges, and efficiently designing and executing the strategy and tactics required to deliver solutions to the marketplace. Prior to his work building data businesses, Mr. Kellner spent the first half of his career in Financial Services, in leadership positions in Institutional Bond Sales and Investment Banking with both RBS Capital Markets and Bear Stearns. Mr. Kellner holds a Bachelor of Arts degree in Economics from the University of Massachusetts at Amherst. Dr. Ellen Wright Clayton Ellen Wright Clayton, M.D., J.D. 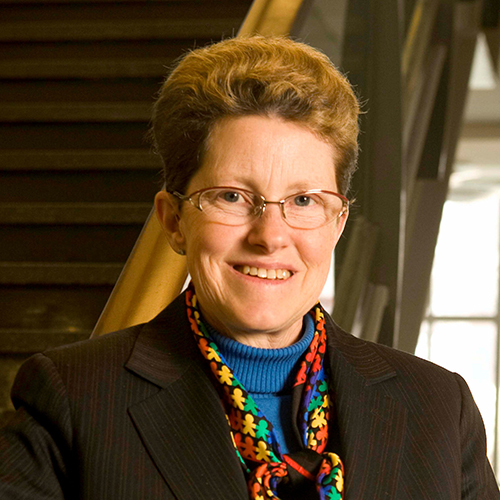 is an internationally respected leader in the field of law and genetics who holds faculty appointments in both the law and medical schools at Vanderbilt University, where she also co-founded the Center for Biomedical Ethics and Society. She has led and collaborated in interdisciplinary research on medicine, law and public health with investigators in the U.S. and around the world and helped to develop policy statements for numerous national and international organizations. Professor Clayton has advised the National Institutes of Health as well as other federal and international bodies on an array of topics ranging from children’s health to the ethical conduct of research involving human subjects. She has worked on a number of projects for the Institute of Medicine of the U.S. National Academies and serves on its National Advisory Council. Professor Clayton coordinated the Consent and Community Consultation working group of a five-institution consortium exploring the use of electronic medical records for genome-wide association studies. She is an elected Fellow of the American Academy for the Advancement of Science. Dr. Gary M. Owens Gary M. Owens, M.D. is an expert in the evaluation and reimbursement of new drugs and devices, medical and health plan strategy, management and operations. In a career spanning 25 years in health care management, he has provided strategic and tactical guidance to employer benefit managers, pharmaceutical and device manufacturers and managed care plans. Dr. Owens also lectures widely on health care management topics and his articles and interviews have appeared in in The American Journal of Managed Care, American Health and Drug Benefits, Specialty Pharmacy News, Oncology Times, Journal of Managed Care Medicine, Journal of Managed Care Pharmacy and Disease Management. From 2003-2006, Dr. Owens was Vice President for Medical Management and Policy at Independence Blue Cross (IBC) where he managed pharmacy operations for over 2.0 million members and was a leader in the evaluation and management of biotechnology drugs at the health plan. From 1996 to 2003, he was Vice President for Patient Care Management at IBC and was responsible for medical management services for 3.2 million members and nearly 7 billion dollars of annual medical spending activity. From 1986 to 1996 Dr. Owens was a Senior Medical Director at IBC and its affiliates, Keystone Health Plan East and Delaware Valley HMO. Dr. David Novis David Novis, M.D. has practiced Laboratory Medicine and Pathology for over 30 years. He has unparalleled experience in providing and evaluating laboratory services, laboratory medical directorship, and pathology services. 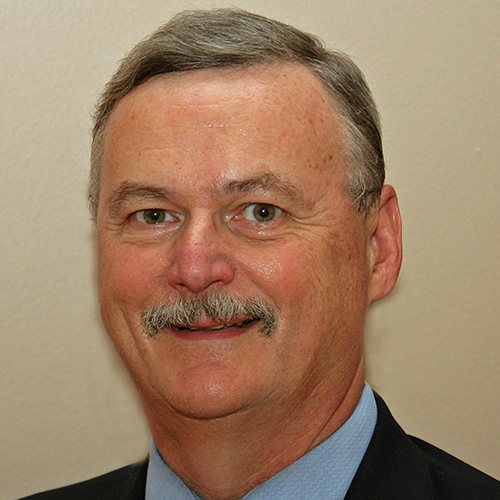 Dr. Novis is a recognized expert, author and lecturer on clinical quality, medical outcome assessment, patient safety, medical service delivery and best practices methodologies and has served as an editor and reviewer for Accreditation and Quality Assurance, Archives of Pathology, Clinical Chemistry and Laboratory Medicine, International Journal of Laboratory Hematology and Joint Commission Journal on Quality and Safety. He has served as a Trustee of Wentworth Douglass Hospital and was honored by the New Hampshire Hospital Association for his exemplary performance in hospital governance with the NHHA Outstanding Trustee of the Year Award (2005). Dr. Novis is the Medical Director of Oxford Diagnostic Laboratories in Marlborough, MA and Memphis, TN, and the CLIA Laboratory Director of Courtagen Life Sciences, Woburn MA. He is a member of the Business Model Advisory Group for the College of American Pathologists, an Advisor to the University of New Hampshire Department of Health Management & Policy, Speaker of the House of Delegates and member of the Board of Governors of the College of American Pathologists, and the President of the New Hampshire Society of Pathology.Richard Mural, Ph.D. is a pioneer and visionary in the analysis and interpretation of genome data. During the early formative years of the Human Genome Project in the 1990s Dr. Mural, while working as a Senior Staff Scientist at the Oak Ridge National Laboratory, co-invented one of the earliest and most widely-used “big data” analytics platforms, GRAIL, for gene-finding and gene prediction in DNA sequences. For this and other contributions he was recognized by an R&D 100 Award from Research and Development Magazine and also named an “unsung hero” of the Human Genome Project by Science magazine in 2001. Between 2000 and 2005, Dr. Mural was the Director of Scientific Content at Celera Corporation, one of the earliest and most successful commercial ventures of the “Genome Era.” Since 2005 he has served as the Chief Scientific Officer of the Windber Research Institute and is leading tissue banking efforts for the U.S. Military Cancer Institute at Walter Reed National Military Medical Center. Dr. Mural is also part of the Breast Cancer Data Analysis Working Group of The Cancer Genome Atlas project. Currently he is confronting personal, real-world challenges of cancer genomics in his fight against both adenocarcinoma of the lung and malignant melanoma.